Canada will prevail in getting a new deal, ex-PM says. OTTAWA — Canada will prevail in getting a new free trade agreement with the United States despite the anti-globalization bent in the United States which has been stoked by the left and right-wing voices there for years, former prime minister Brian Mulroney said Friday. The architect of the original Canada-U.S. free trade agreement was a main attraction at the Canada2020 conference in Ottawa. Mulroney told the conference attendees both U.S. President Donald Trump and Sen. Bernie Sanders have fuelled the idea that global trade is tilted against American interests, giving rise to fear, anger and protectionist sentiments which Canada must fight. "When fear and anger fuel much of the public debate, history teaches us that protectionist impulses can easily become a convenient handmaiden," he said. "Much of what we are witnessing today in the U.S. reflects similar emotions of fear and anger stimulated in large part by the sense that the government is dysfunctional or detached from public concerns or that the global system of trade which is so important to all of our lives is tilted against American interests," Mulroney said. "How could they not think that way with Bernie Sanders on the left and President Trump on the right telling them that for a number of years?" Trump campaigned on renegotiating or tearing up the North American Free Trade Agreement and last month served notice to Congress he intended to re-open negotiations. The new discussions between the U.S., Canada and Mexico are set to begin in August, to update the 23-year-old deal. Trump has been all over the map on what he wants to see with the deal, from tearing it up entirely to just "tweaking" it. Prime Minister Justin Trudeau's government has spent a significant amount of time and political capital lobbying Americans ahead of the expected negotiations, on the benefits of NAFTA and the damage that could be wrought by cutting trade between Canada and the U.S.
Mulroney said Friday he has no official advisory role in this game, although his long relationship with Trump and other members of the administration have made him a valuable commodity. In February he was dispatched to a fundraiser at Trump's Mar-a-Lago estate in Palm Beach, Fla., where he serenaded the president and sung Trudeau's praises. He said today he has not spoken with Trump himself recently, but spoke to senior members of the Trump White House this week. He described a conversation he had recently with Jared Kushner, Trump's son-in-law and senior adviser, in which Kushner said how impressed the White House was by the show of unity in Canada. The conversation followed a letter written by former interim Conservative leader Rona Ambrose throwing her support fully behind the Liberal government's trade negotiations. "This is in conflict, a variance, let me put it that way, with what you see in Washington with the Congress seriously divided on everything, including this," said Mulroney in a scrum with reporters following the speech. 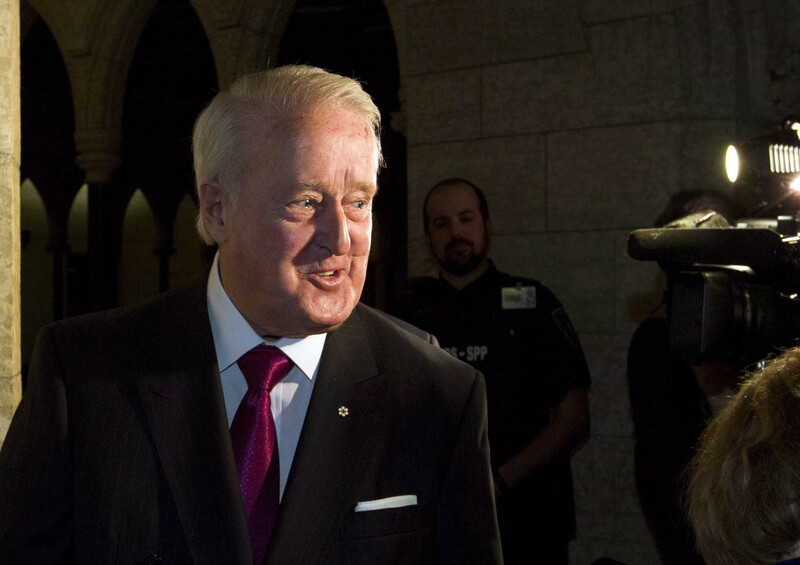 Mulroney said he understands the anxieties created by the fast-paced changes in our world but he said it is unfair and unwise to make fear the scapegoat. "The enemy is not trade," he said. "The enemy is technology." He said despite the rhetoric coming from the United States, and knowing full well the Americans will be tough negotiators, he remains confident a new deal can and will be reached. "Canada is privileged to have the United States as a neighbour and friend and the United States should [thank] their lucky stars every morning they have Canada on the northern border. This is the most successful and peaceful bilateral relationship in history and one that must be cherished."